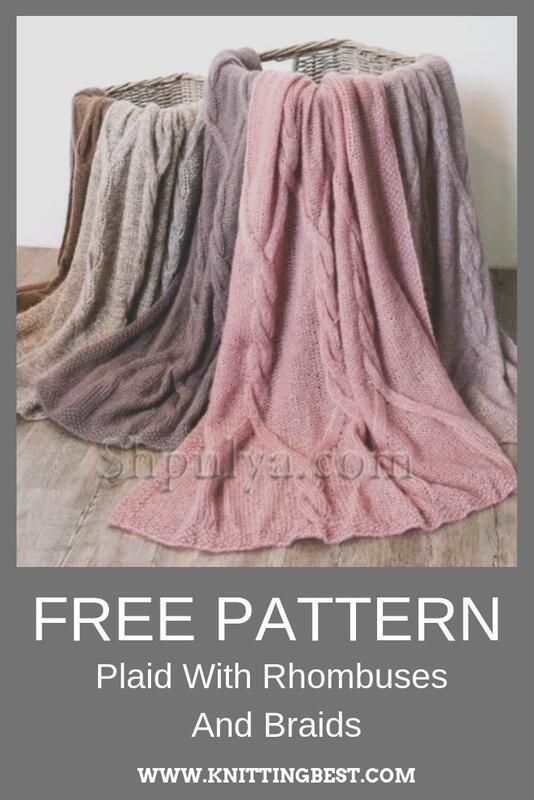 You will need: for option A 150 g light brown (color 24), silver-gray (color 41) and white (color 52), for version B 150 g pale pink (color 74), beige (color 18) and pink-brown (color 35), for variant С 450 g light brown (color 24), for variant D 450 g pale pink (color 74), for variant E 450 g pinkish brown (col.35) Silkhair yarn (70% mohair superkid, 30% silk, 210 m / 25 g) Lana Grossa; circular needles number 9. Each blanket knit folded threefold thread, connecting for options A and B on 1 thread of each color, for options C, D and E - 3 threads of the corresponding color. Pearl pattern: alternately 1 person., 1 out., Shifting the pattern in each p. on 1 p.
Wrong surface: persons. R. - ex. n., izn. R. - persons. 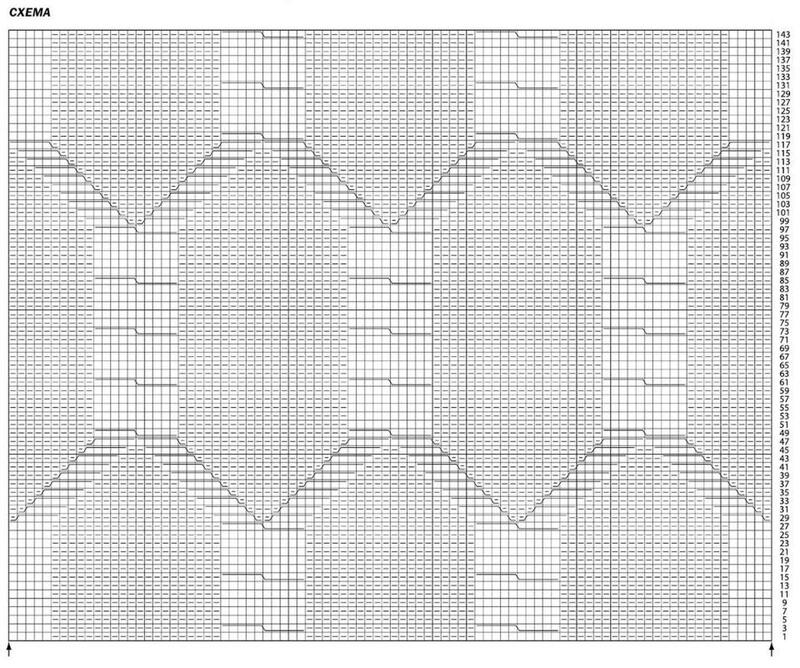 P.
Pattern with rhombuses and braids: knit according to the scheme on page 6, in the inside. rows knit by pattern. 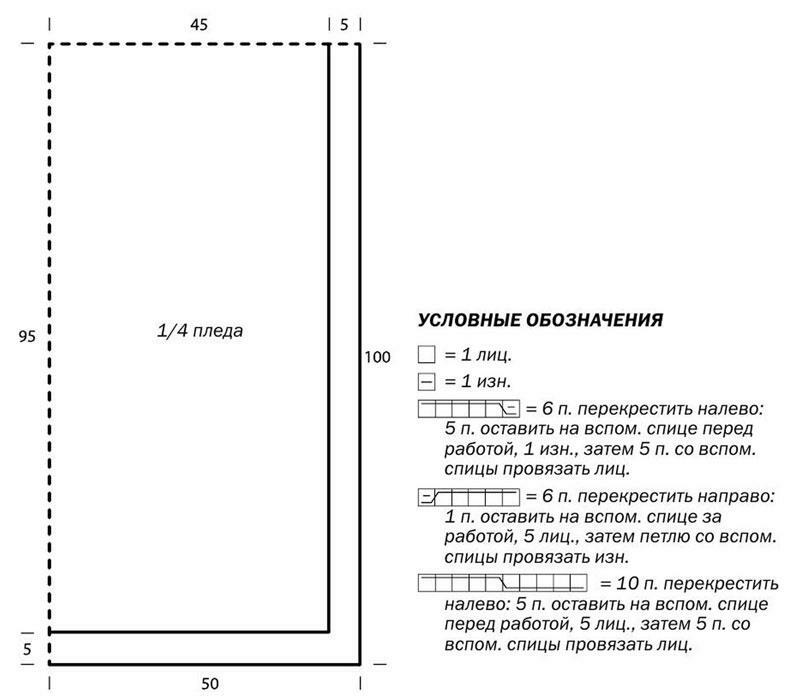 Run 1 time of the 1st - 144th p., Then repeat 1 time from the 5th to the 144th p.
With a triple thread, dial 128 p., Tie for a strap 5 cm = 8 p. pearl pattern and knit as follows: 5 p. pearl pattern, 14 p. smooth surface, 90 p. patterns with rhombuses and braids, 14 p. izn. smooth surface, 5 p. pearl pattern. After 190 cm = 284 p. from the strap to tie on all the loops 5 cm = 8 p. pearl pattern and close the loop on the pattern.